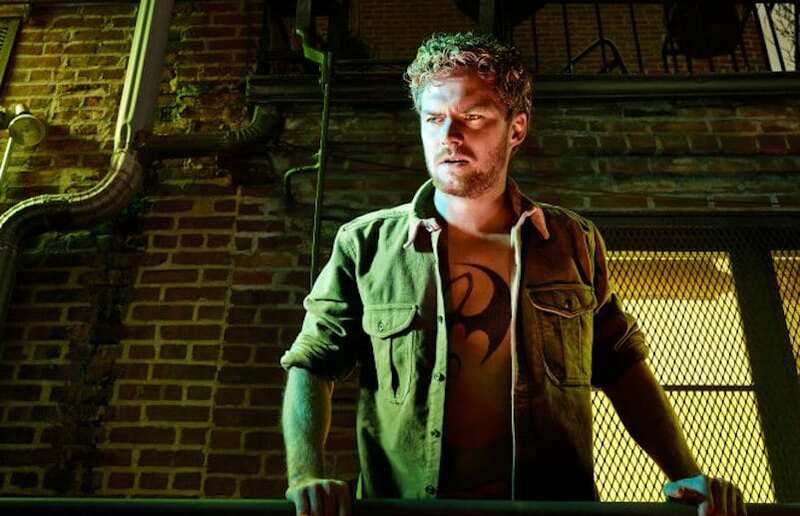 Iron Fist: How Marvel Can Rebound | Nerd Much? A couple of months ago, I wrote a piece about all the great things Marvel is doing with their Netflix shows. In it, I said that the studio’s Netflix programs are arguably the best superhero media being released today. Last Friday, Marvel’s Iron Fist was released and now that statement may no longer be applicable. Marvel’s adaptation of the living weapon isn’t just a step down from previous series on the platform, it’s not even in the same league. Iron Fist has some serious feng shui issues due to subpar writing, workmanlike filmmaking, an insufferable main character, misguided performances and no sense of pace. It’s only around episode 10 that the show feels like it’s starting to pull together, and by that time it’s practically over. It’s really not fun to feel like you’re dog-piling on something that’s having a rough time but such a steep drop in quality is still alarming. But all is not lost, as the Marvel/Netflix train keeps rolling, and with it comes new opportunities to redeem themselves — and this character — after their first major failure. 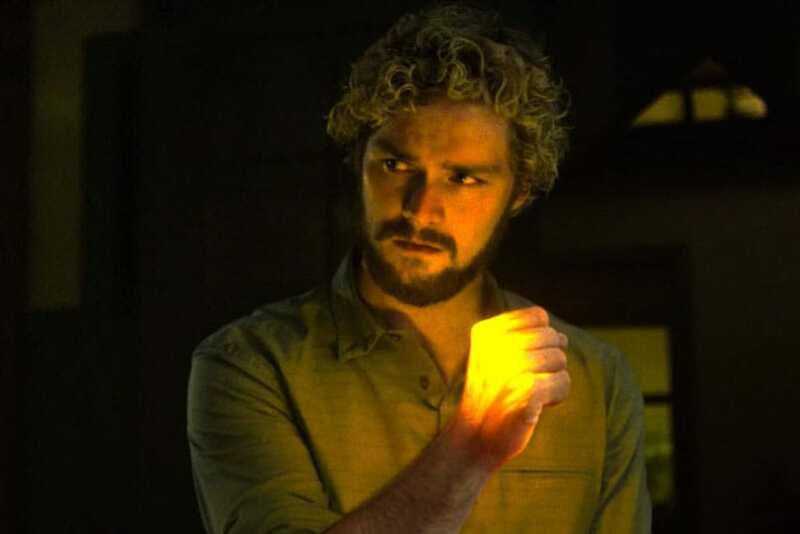 Iron Fist never really connected as a show because the Iron Fist himself, Danny Rand, was the worst part. He’s all over the place, consistently falling into childish outbursts and extreme gullibility, just when we think an interesting character attribute may shine through. He’s always doubting his purpose but even we don’t know what that’s supposed to be or why we should care. Poor Finn Jones is practically left out in the cold thanks to what seems to be no vision from the showrunners on how to explore this character and his performance can suffer from it through the show. But this is Marvel, which means second chances are usually around the corner. Enter The Defenders. 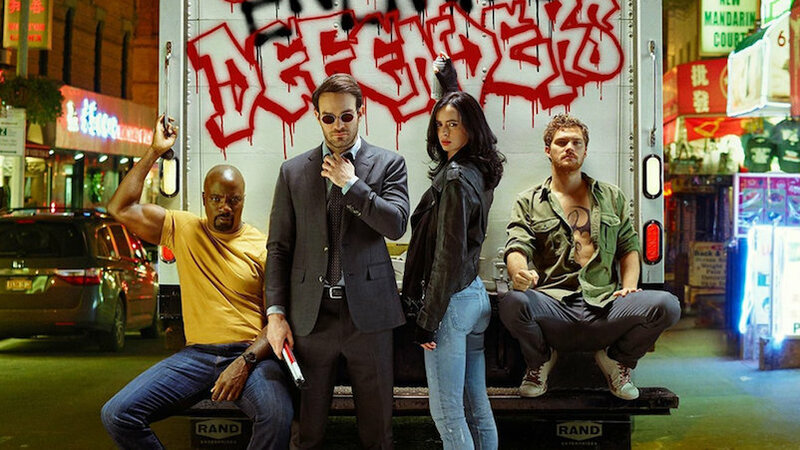 The “Avengers” of street-level crime, The Defenders is the team-up culmination of all Marvel/Netflix series since Daredevil debuted two years ago. Daredevil, Jessica Jones, Luke Cage and Iron Fist will all be sharing the screen this summer (?) for an eight-episode miniseries headed by Daredevil‘s Petrie and Ramirez. For some characters, it will be a chance to expand and see how their already strong personalities mesh with others. For Iron Fist, this is the perfect opportunity to do that character justice. With Daredevil‘s showrunners handling the character instead of the deficient leadership his first season was under, the character can undergo a bit of a soft reboot. Without even seeing any footage yet, we’ve already heard some encouraging things from Jones about Danny’s journey in The Defenders, including “moving forward with a purpose”, craving a family to fit into and being mentored by Luke Cage. 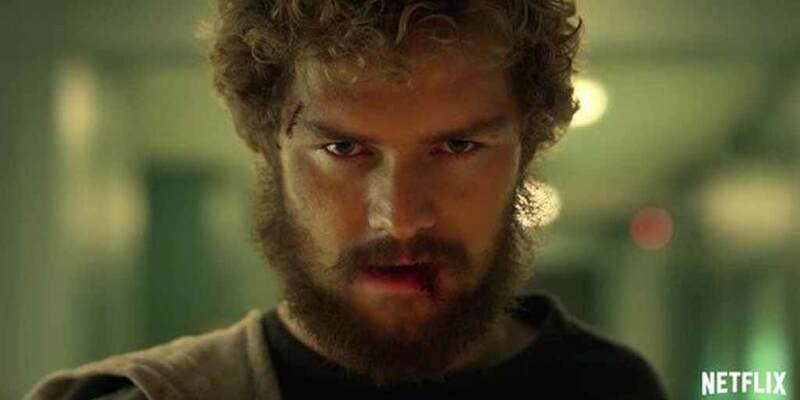 These are all pretty excellent avenues to use for Danny to come into his own as a character, and as long as they deliver on them instead of just doing lip-service, Iron Fist could get his redeeming moment later this year. 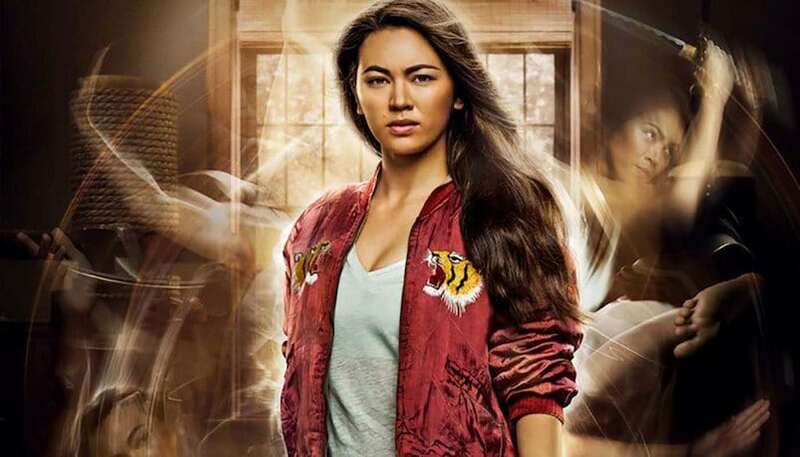 One of the more consistently praised elements of Iron Fist‘s mostly trashed first season was Jessica Henwick as Colleen Wing. That character usually ended up being a bright spot in the midst of some long stretches of frustration and her continued presence in this universe is assured in The Defenders. With both Colleen shining through and Misty Knight in Luke Cage garnering similar praise, now seems like the time to start seriously talking about a Daughters of the Dragon series. The studio’s lineup post-Defenders is going to need more than just second seasons of established shows and a Daughters of the Dragon series shows the studio is listening. Just like how The Punisher got his own series after lots of good word in Daredevil‘s second season, Colleen and Misty are primed to make their mark on the Hell’s Kitchen scene and kick that door open wider for female-led superhero media. Keeping on the thought train of team-ups, let’s just get this out there: there probably isn’t a high demand for a second season of Iron Fist. In fact, given the tepid to downright scornful reactions to the show, we may not even be in for a second season. At the very least, Netflix will probably sit on this one for a while in the hopes of letting the heat die down. But that doesn’t necessarily mean the character should stop appearing. When sales of the original Iron Fist comics started failing in the ’70s, Marvel set the character up with Luke Cage for the Power Man and Iron Fist series, which then became a staple for both characters. If the dynamic between the two characters is strong in The Defenders, it might not be the worst thing to regroup them in Cage’s next outing, setting up the classic Heroes for Hire angle that has defined the pair. On one hand, it could be seen as a detractor for Luke Cage fans who dig what Marvel did with his first season. Fair enough. But even the first season of Luke Cage had its leisurely stretch where it didn’t feel like enough was going on. Adding Danny Rand to the mix could give Luke Cage a little more plot momentum, as well as some mystical baddies to put his unbreakable skin to the test. Iron Fist, meanwhile, gets the benefit of breaking out more into street crime element of New York that felt missing in his first season. It’s a gamble and certainly taxing to try and piece together the threads left at the end of each series into a joint storyline but the idea remains that maybe two heroes are better than one here. USE THE [email protected]# IRON FIST!!! It’s the easiest thing to deliver on and the most baffling to screw up. Need I say more? !